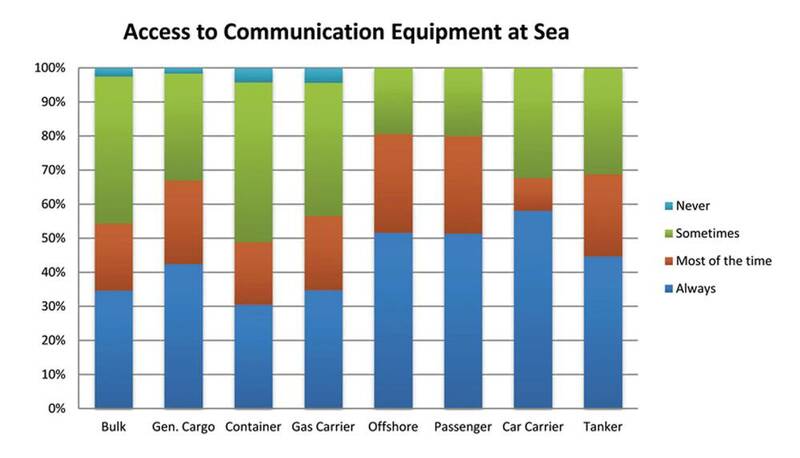 Astrium Services, a global communications provider of commercial satellite networks in the maritime sector, recently took a survey of seafarer’s usage of crew communication solutions in the commercial shipping sector. The survey involved two Philippine crewing agents handling approximately 47,000 seafarers annually for more than 1,000 vessels in the cargo and passenger sectors. With the objective of establishing a clear picture of mariner communications requirements and other metrics, the survey was illuminating in more ways than one. By the Numbers, future results will be impacted by the now in-force MLC (2006) Code. 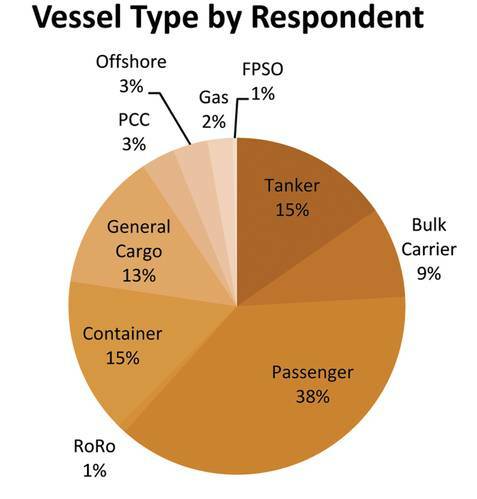 The 2010 BIMCO / ISF Manpower update revealed that the worldwide supply of seafarers is about 1.37 million; with – for the first time in 15 years – overall supply and demand for seafarers reaching equilibrium. The total market size for satellite based crew communication solutions comprised about 925,000 seafarers, employed on board 45,000 vessels of 1,000 GT. The survey was completed by 960 Filipino officers (12%) and ratings (88%). Access: Increased levels of access to communications infrastructure onboard are clearly demonstrated by the survey. 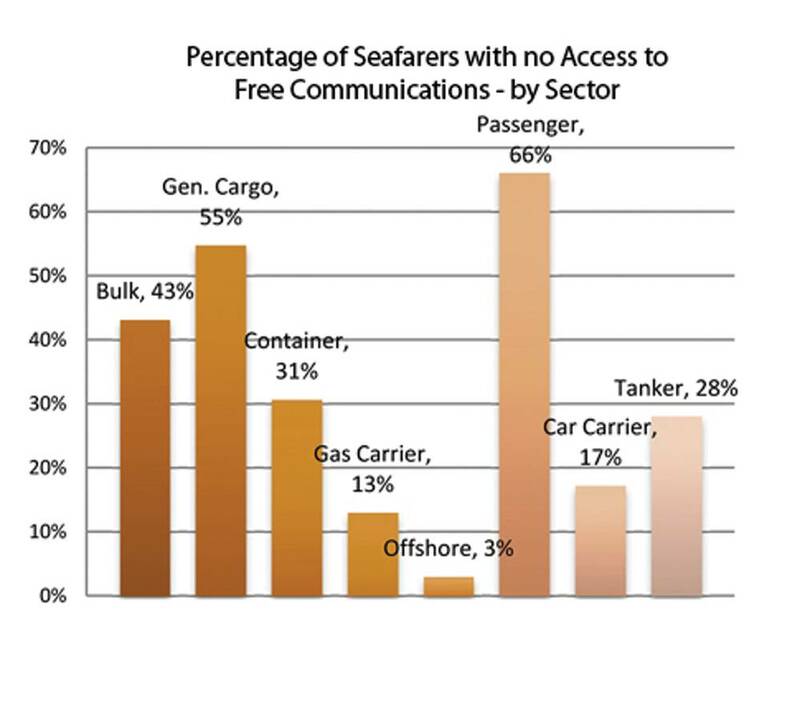 68% of seafarers can now access use some form of crew communication while at sea, hence approximately 629,000 seafarers have access to crew communications. MLC 2006, in theory, should increase those numbers, meaning that this market is wide open for providers who can deliver the right package to shipowners. Only 2% of seafarers currently never have access to crew communications. 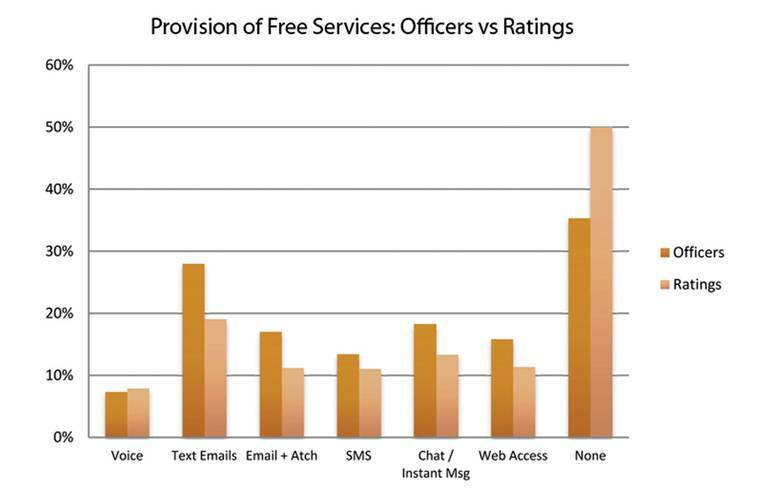 Text only email with no attachments was the free crew communications solution most widely provided, but this was only provided to 20% of respondents. The Passenger sector provides the lowest levels of free crew communication of any sector and Officers were provided more free communications than ratings. Service Delivery & Methods of Access: In service delivery terms respondents rated call quality most important followed by price, security and privacy. The preferred method of accessing pc-based crew communications solutions was via the respondents’ own laptop using a wireless connection. 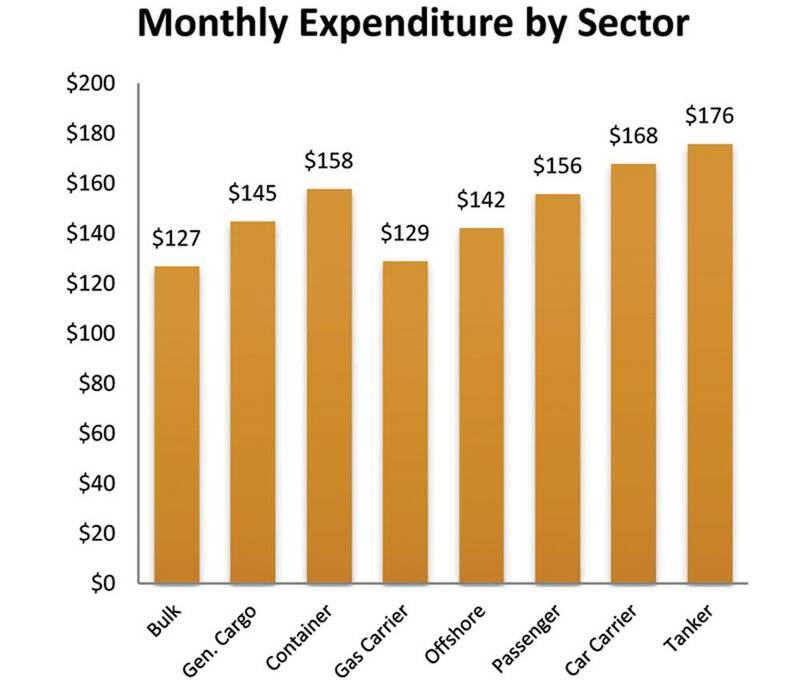 Current Spend on Communications on communications was $150/month. The figures for expenditure varied significantly between officers and ratings with officer’s expenditure more than twice that of ratings. Highest levels of expenditure on crew communications were made in the Passenger, Tanker and Car Carrier sectors. 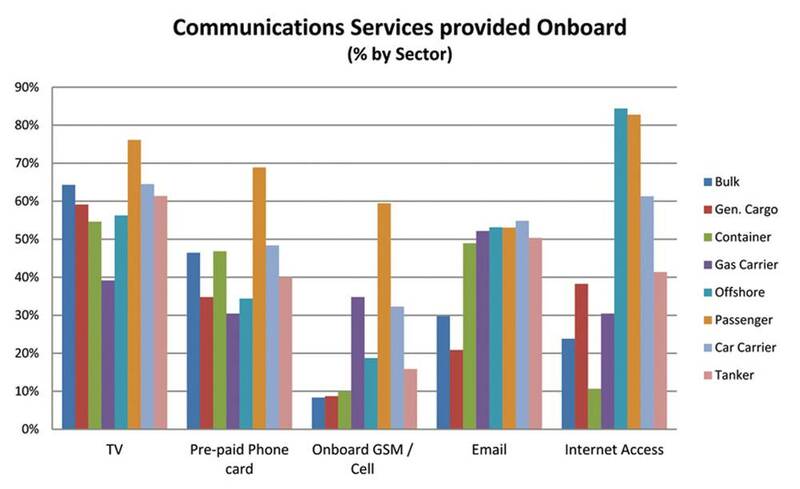 15% of the crew interviewed for Astrium Services’ crew communications survey in 2012 stated they had at least some free use of the internet on board – meaning that the huge majority, 85%, don’t. Nearly 70% of all respondents were prepared to pay to access on-line content. Increased Usage = Increased Cost? Not necessarily. Naturally, satellite provider revenues will probably increase with great consumption at sea. That said; an increase in volume for an existing user does not lead to a proportional increase in cost. In principle, the greater the consumption in volume is, the lower the price per unit. The initial focus of on board broadband was based on corporate usage. Security concerns and probably most of all, the cost per Megabyte, discouraged ship owners from establishing personal web usage onboard. Nevertheless, a company with a substantial bandwidth needs will be most inclined to add capacity and cater for the crew needs without significant additional monthly cost. The smart operator reduces cost when he starts sharing his airtime commitment between crew and corporate usage. Quite typically, airtime commitments are not fully used by corporate usage alone. When he starts “re-selling” data to crew by giving them access to VoIP telephony, web access and/or email, he gets some of his money back. Meanwhile, crew are happy to get a means of communications they previously did not have on board. A win-win situation. MLC & Your Crew: The majority of crew still have no access to the web at all. The MLC asks for; “reasonable access to ship-to-shore telephone communications, and email and Internet facilities, where available.” MLC does not strictly dictate that all crew must have an opportunity to send and receive private emails on board, have access to a phone whenever they wish or connectivity to the web or chat with their friends via Facebook. Pressure from seafarers for better on board comms is growing and will likely be a bigger driver than MLC. Ship owners will have to react. The desire to be able to access the web on board – ideally for free – is at the top of crew’s wish list. Significantly, the lack of qualified officers continues to grow with the gap widening to 13,000 in the period 2005-2010. Hence, a job with free on board internet usage has strong appeal and will benefit employers competing for scarce resources.